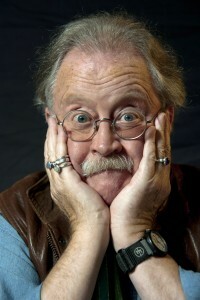 Mike Harding is a poet, singer, songwriter, comedian, author, broadcaster and multiinstrumentalist. For fifteen years he presented a popular Folk, Roots and Acoustic Music programme on BBC Radio 2. His autobiography The Adventures of the Crumpsall Kid tells hilarious tales from his first day at infant school to playing in skiffle groups and rock ‘n’ roll bands in the early 60s.